Today while discussing a website re-design with an old/new client I found the theme’s “page builder” no longer worked. Great I thought, I have my old/new client sitting in front of me after driving 5 hours (yes, 5 hours from Sydney!) and his website did not work. On a side note, what is this old/new client? Well, the client actually left me. So with all clients that decide to move on I purposely make it as easy and friendly as possible. I have had many clients move to my services and the “losing” party can make it so hard that the client will 1, never ever go back and 2, they will tell all their friends how unprofessional the losing company was. So I vowed to some years ago after some near impossible website move never ever to be like “them”! Back to this old/new client now … he came back. Now I did not ask him if it was because I made it so easy to leave but I like to think it may have influenced the decision to come back. A good news story for sure. Back to the story at hand which is really about bad templates that receive no updates and have limited if any support. In my frustration trying to load a simple page, I turned to the client and said I there are issues with this template, it has never been updated by the original designer and now it does not work. 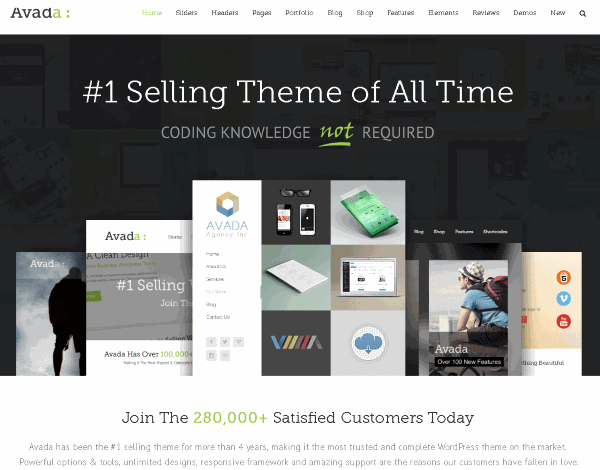 I said I only recommend using well support business-grade templates and my template of choice that meets all requirements is the Avada Theme from Theme Fusion. Upon showing him the Avada theme on another WordPress website (80% of my websites now use the Avada theme … slowing fazing out all others), even though it cost more (and he already bought the current one) he agreed to make the switch. No argument from me. Running a business? Then use business-grade templates with business grade support, updates and continuous improvements. For professional business grade web design and web hosting needs, contact Portagemma.